Success. What does it mean to you? Maybe it’s not what you think it is. 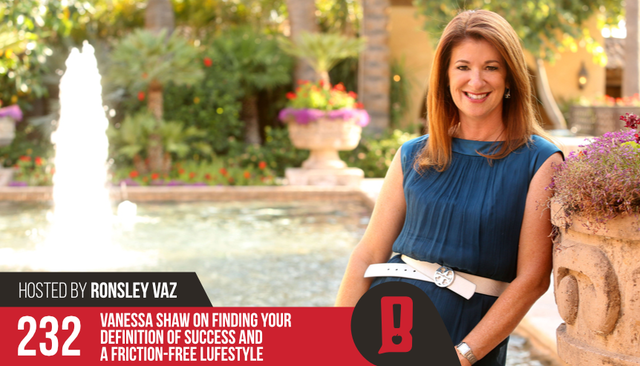 In this episode of The Bond Appetite Podcast, we get into a deep-and-meaningful with the wonderful Vanessa Shaw – International Business Success Coach and Inspirational Speaker. I really love Vanessa’s straight-up, balanced and practical approach to determining what success means for you as an individual, and her ability to make these sometimes very complex subjects, simple. Vanessa brings some fantastic thoughts and insights on women in entrepreneurship and business. We head into some deep territory, but come out the other side with some really valuable tools and know-how for creating a more balanced business and personal life. You really do need to hear what Vanessa has to say. What is the feeling of success? What is it to you? Making an impact. How do you define it? What are you doing to fuel yourself? Visit Ronsley's profile on Pinterest. I am 34,000+ words into it... and Its coming soon.